The Inside Out world premiere took place at the Cannes Film Festival in France last month, making it the second Pixar film to screen at the prestigious festival. With the film’s release date rapidly approaching, the U.S. premiere was held last night at the El Capitan Theatre in Hollywood, California. After the break, take a look at 35 photos from the colorful premiere! Pixar’s latest film has a tremendous amount of buzz surrounding it as it nears its U.S. release. Those who have had the opportunity to see the film (including this writer) have mostly walked away thoroughly impressed by the film’s creativity and emotional depth, which has only increased audience expectations for Inside Out. The creative team and voice actors have much to celebrate – click through the gallery below to see how they partied in L.A. last night. Keep a look out for the costumed Joy and Sadness characters, which will, without a doubt, make their way to Walt Disney World and Disneyland for meet and greets with guests. 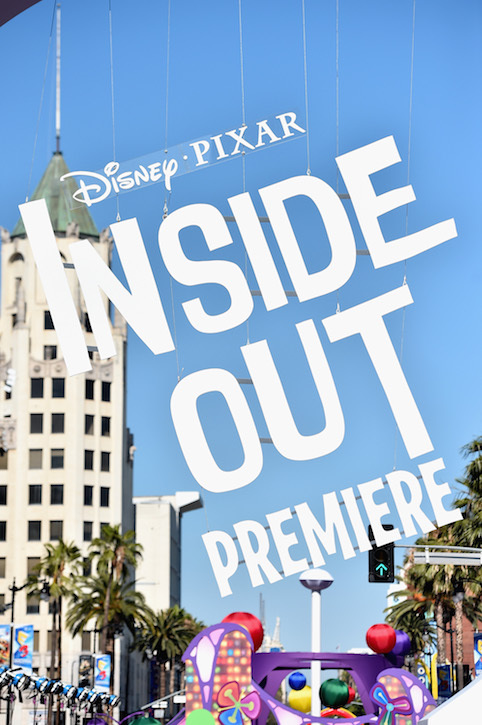 Inside Out, which tells the story of what goes on inside the mind of an 11-year-old girl after she moves across the country, hits theaters on June 19th – that’s in less than two weeks!